We are the Javelin dealer for Northern Ohio. Looking for a unique & innovative triathlon bike? Designed by one of the leading aerodynamic experts in the world. They are some of the fastest bikes on the triathlon circuit! Need a great road bike? Bikes are hand crafted by Italian craftsmen with the best components. Javelin delivers! Looking for a new ride for that century? Check out the super smooth Javelin bikes! Ready to try your hand at Track racing? Ready to get out to the new Cleveland Velodrome? Check out the amazing track bikes by Javelin. 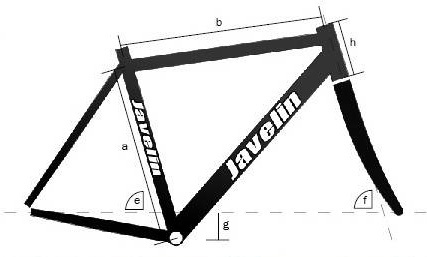 Click Here for more information about Javelin Bicycles.